Obituary – Braden, Jerry Marvin « Perry High School Alumni Association, Inc.
Graveside rites were at 2 p.m. Monday at McGuire cemetery near Lucien for Jerry Braden, 60, who died Friday, June 14, 1996, at his rural Lucien home. Rev. Paul Kang, pastor of the Lucien United Methodist church, officiated. Arrangements were under direction of Brown Funeral home of Perry. Braden was born on the Braden homestead on Jan. 31, 1936. He was the son of John and Blanche (Gorman) Braden. 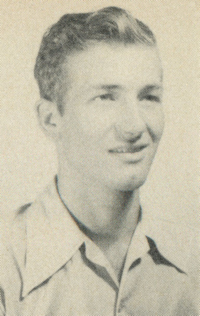 A 1954 graduate of Perry high school, Braden served with the United States Navy from 1954-74. He then was a civil service employee at a Naval shipyard. He was a member of the National Rifle Association and the Veterans of Foreign Wars. Braden was preceded in death by his mother, Vera Blanche (Gorman) Braden. Survivors include his father, John, Lucien; and four sisters, Barbara Jones, Hartsville, SC, and Linda Tedder, Janet Hileman and Evonne Williams, all of Lucien.